Veraison - the changing of color of the grapes - has begun in eastern Washington's vineyards. This picture of Sangiovese comes courtesy of Seven Hills Vineyard in the Walla Walla Valley. The folks at Seven Hills report that they saw veraison in Sangiovese on this same date in 2013, a warm vintage. 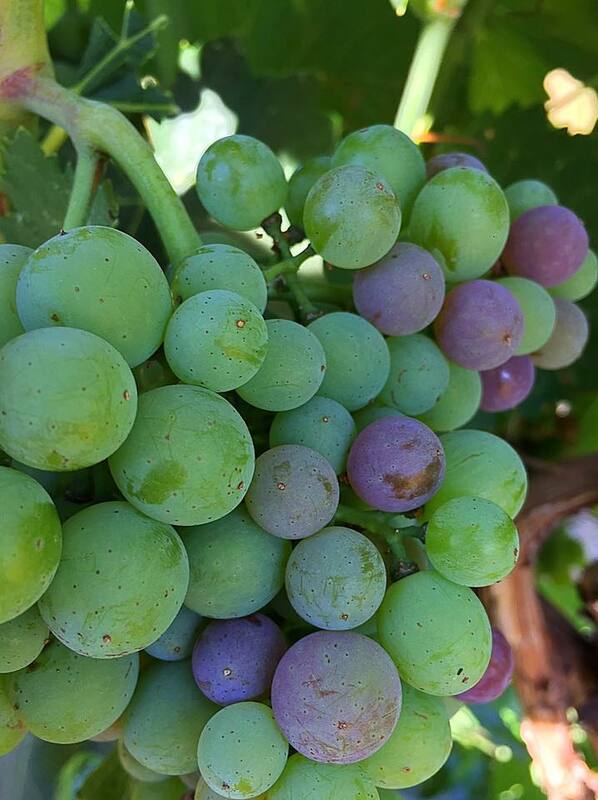 Meanwhile Hillary Sjolund of Wine Boss and Sonoris Wines reported seeing veraison in Merlot at Quintessence Vineyard on Red Mountain on July 18th. Ryan Driver of Tertulia Cellars also reported seeing veraison in Tempranillo in the Walla Walla Valley on July 20th. The start of veraison can only mean one thing - that harvest is not far off!